My spring inspired watercolor experiment turned into somehing very interesting - some delightful stationery products. 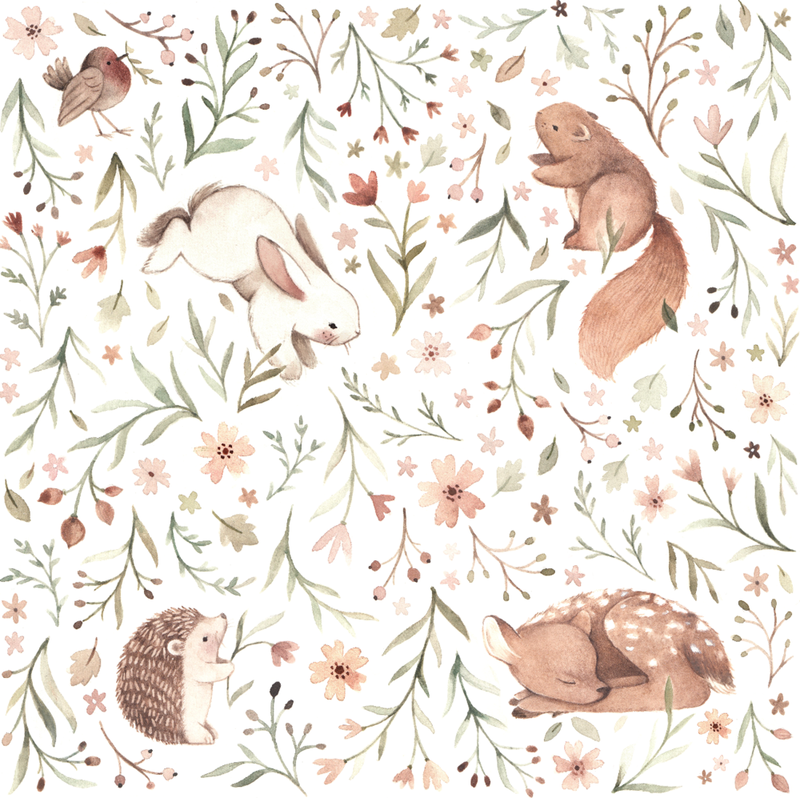 I really wanted to make a dense pattern using my favorite palette and animals. After I was finished I got an idea and made a notebook and notepad with these illustrations. Meadow notebook and notepad were both size A5 and are part of the same collection. Notebook was an A5 lined journal type of notebook. The cover was digitally printed on warm white, textured paper. Inside of the notebook was lined and had small animal illustrations every now and than. Notepad was a A5 weekly planner perfect for organizing your week. Everything was designed and illustrated by me.